Are you looking for a fun and creative gift for your kids that also gives back to a charity? Gift Hero, a fantastic program that change the way parents buy gifts for birthday parties, does just that. Created by two moms, Gift Heroallows parents and kids to give back by working with children&apos;? ?s charities to provide gifts to children whose families can&apos;? ?t afford them. So, this December, they are letting their customers be gift heroes! They are offering three awesome hero-themed gifts where they will set aside 5% of retail sales of these products to purchase toys for children in need. Additionally, all Momtrends readers that purchase a toy or gift on Gift Hero will receive a special discount. Simply enter the code MT2011 for $20 off a $100 purchase with free standard shipping. The offer will expire on December 18th, 2011. Ze Super Zeroes Gift Set ($50.00). 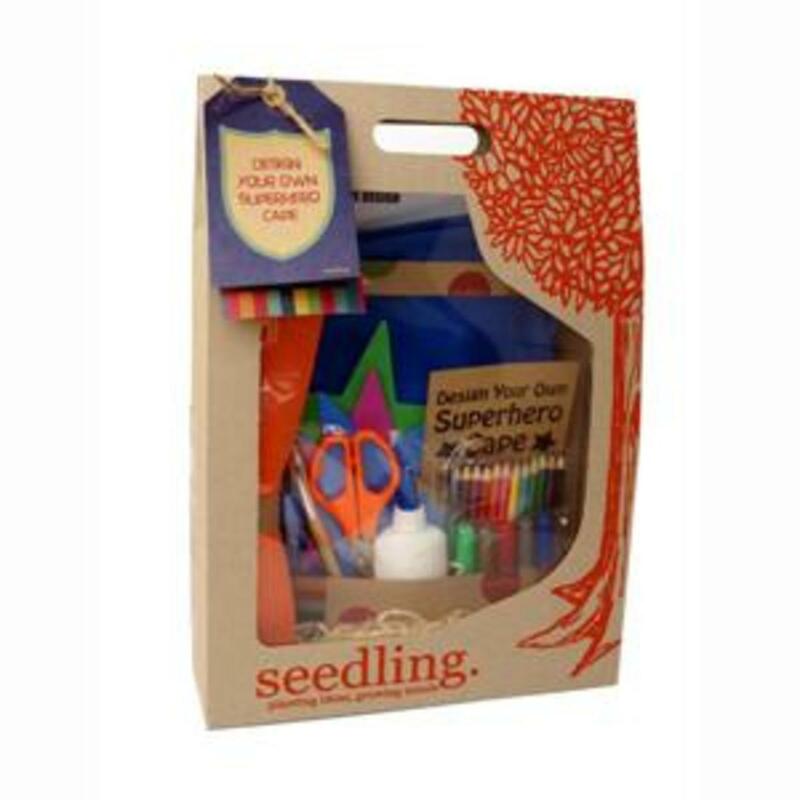 This super hero themed gift set is perfect for encouraging creativity and imagination in young children. 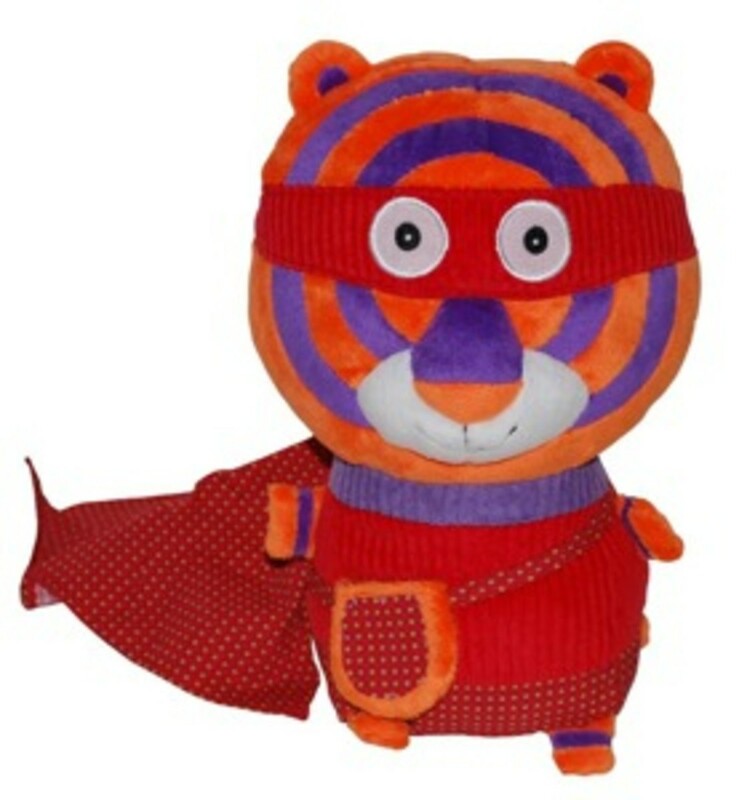 The set includes plush Super Zero "Zigg the Tiger," a matching child-size cloth cape, lift the flap story book starring Zigg the Tiger, and a CD featuring a read along version of the book. These toys and stories teach children that we all have things we are good at. Create Your Own Superhero Cape ($40.00). We love this Super Hero Cape where kids 3 and up can create their own unique cape. super hero wearing their own creation (of course). The kit comes with a blue cotton cape, design template, glitter glue, shapes and stars cutouts, felt pieces, coloured pencils, scissors, paint brush, craft glue and instructions. Seedling of New Zealand creates high quality craft and activity kits that give children the opportunity to explore their world and their abilities. The kits are packaged in eco friendly bags and boxes with window faces, so you can actually see what you are getting. 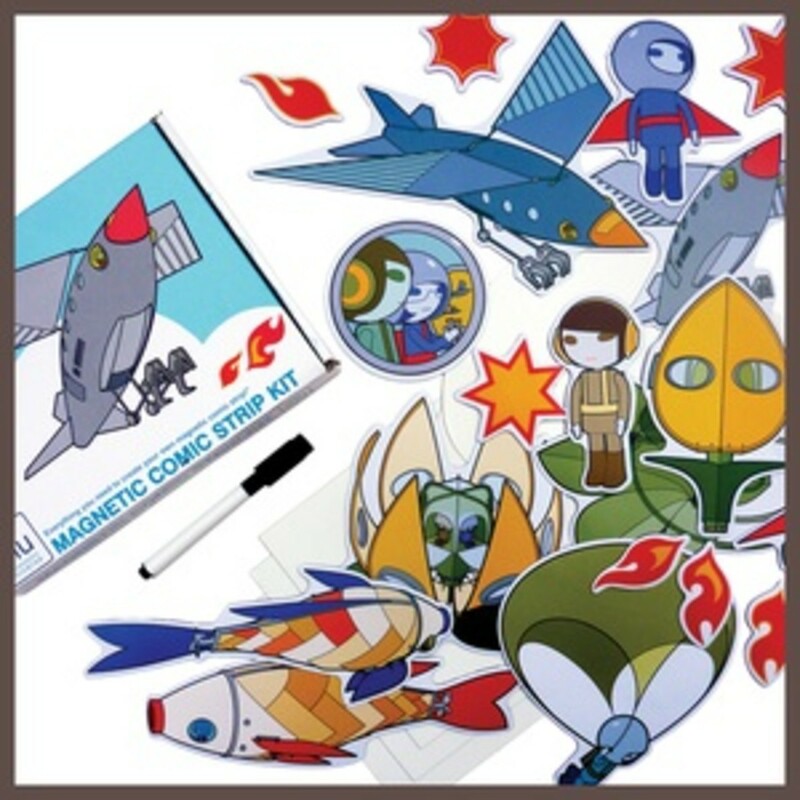 Magnetic Comic Strip Kit($28.00). Everything kids need to create their own action-filled comic strip! Made in the U.S.A. Kids will love to make their own comic strip with over 20 fun magnets from the world of the MU! Magnetic write on/wipe off speech balloons and background panels allow for imaginative and open-ended play. This educational toy includes over 20 flexible magnets, 4 reusable write on/wipe off background panels, two reusable write on/wipe off speech balloons, dry erase marker (only intended for use on write on/wipe off surfaces) with attached magnet. This toy is designed for kids ages six and up.